The Xiaomi Redmi 2 will be available in the country on April 28. It'll be exclusive in Lazada through flash sale! Check out the details here. 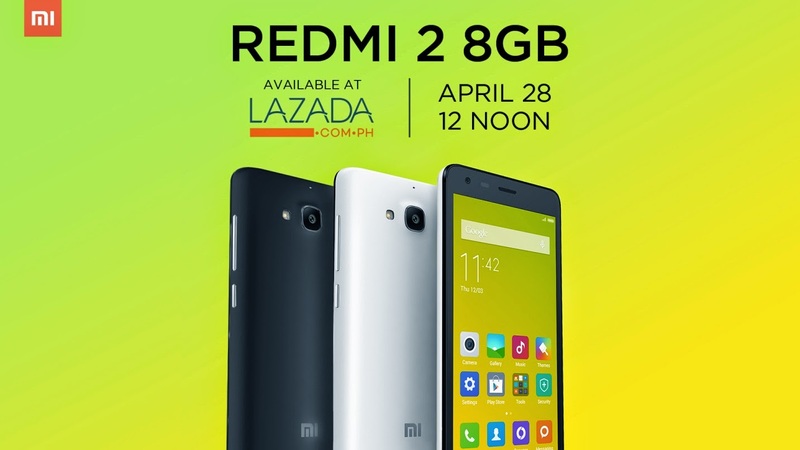 Xiaomi Redmi 2 sale in Lazada will be happening on April 28. That would be less than a week from now so mark your calendars! The handset has been released in China earlier this year and it has been very popular in its device category. The Xiaomi Redmi 2 has also been making waves in the Southeast Asian region due to the fact that it is one of the most aggressive handsets to date. This successor to the Redmi 1S throne packs a dual-SIM LTE connectivity and a Qualcomm Snapdragon 410 chipset with four cores of Cortex A53 CPU. This handset will be on flash sale for Php 5,999 when the clock strikes 12 noon on Tuesday. This 4.7-incher is definitely a good buy if you're in the market for cheap LTE that is enclosed in a capable hardware. Check out our Xiaomi Redmi 2 Specs Review. The flash sale is open to all. There's no registration prior to joining the sale. I assume that Lazada will have limited stocks. Here are the direct links to the Xiaomi Redmi 2 Dark Grey and Xiaomi Redmi 2 White in Lazada.